Please, please send us some! 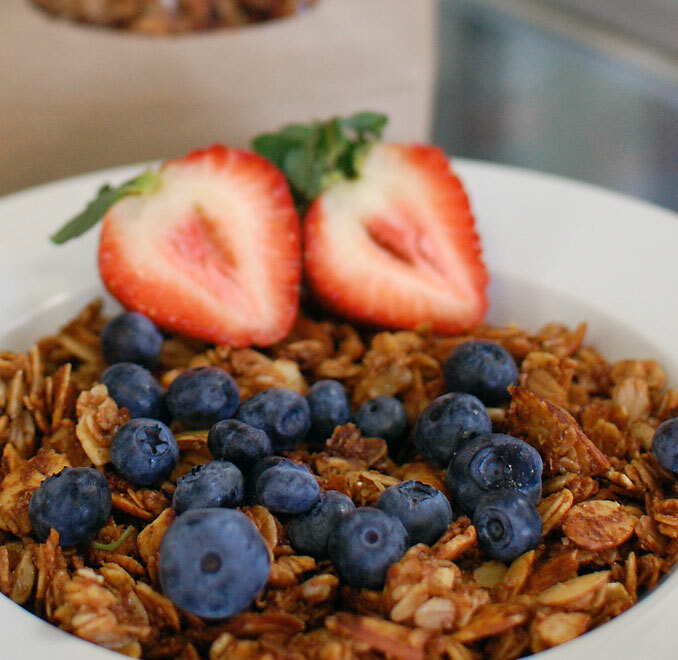 We hear it time and time again via phone and email from out-of-towners who visit us and try our granola. Made with oats, sunflower seeds, almonds, bran, honey, cinnamon, nutmeg, vanilla and milk powder, it’s fantastic with yogurt and fruit, in a bowl with milk, or as a delicious snack. We feel obligated to inform you that it’s highly addicting. $8.25 per pound. A 2-pound minimum purchase is requested. We ship USPS Priority, so you’ll have your yumminess in 2-3 days. 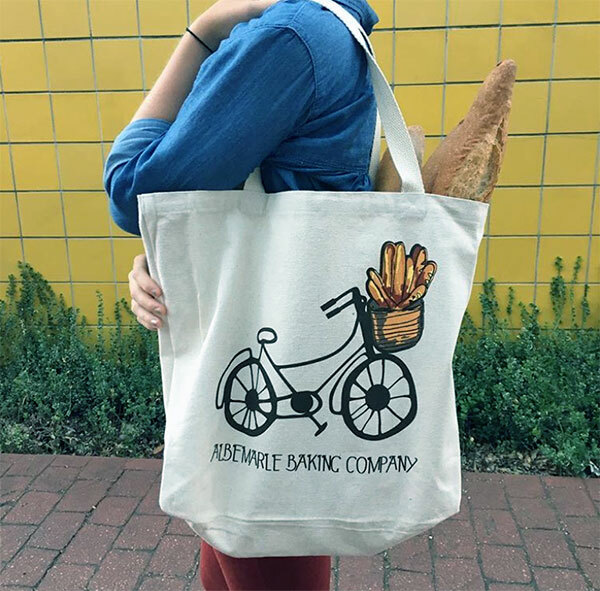 Who doesn’t want to be seen riding a bike with a bunch of fresh baguettes? All cotton, nice and sturdy. Only $10. 434.293.6456 | email | Hours: Monday - Friday 7am - 6pm. Saturday 7am-5pm. NEW! Sunday 8am-3pm.